I n the wake of a U.S. Supreme Court decision striking down Florida's death-sentencing procedures, a new poll shows that nearly two thirds of Floridians now prefer some form of life sentence to the death penalty and nearly three-quarters favor requiring the jury to unanimously agree on the sentence before the death penalty can be imposed. The poll by Public Policy Polling found that 62% of respondents preferred some form of life in prison over the death penalty for convicted murderers, while 35% preferred the death penalty. A plurality (38%) preferred life without parole coupled with restitution payments, while an additional 24% preferred either life without parole or life with parole eligibility after 40 years. The poll comes shortly after the Supreme Court declared Florida's sentencing scheme unconstitutional in Hurst v. Florida because it permitted judges, rather than juries, to determine whether the prosecution had proven factors that make a defendant eligible for the death penalty. It left open a second question as to whether jury recommendations for death had to be unanimous. As the Florida legislature considers its response to Hurst, the poll showed broad support across the political spectrum for requiring jury unanimity in sentencing. Overall, 73% of Floridians supported a unanimity requirement, including 70% of Republicans and Independents and 77% of Democrats. A Tampa Bay Times investigation this week raised questions as to the reliability of non-unanimous death sentences. The paper reported that death sentences imposed after non-unanimous jury recommendations were far more likely to be overturned and posed serious risks to the innocent. 18 of the 20 Florida exonerations for which jury data was available (90%) involved non-unanimous jury recommendations, including 3 cases in which judges overrode jury recommendations for life sentences. Stephen Harper of the Florida Center for Capital Representation at Florida International University College of Law, responded to the polling results, saying, "The state legislature should follow Floridians’ lead and support a unanimous jury requirement in capital cases. Failing to do so will leave Florida’s death penalty statute vulnerable to additional costly litigation." Florida executions are plagued by stark racial, gender, and geographic disparities, according to a new University of North Carolina study, with executions 6.5 times more likely for murders of white female victims than for murders of black males. (See graph, left. Click to enlarge.). UNC Chapel Hill Professor Frank Baumgartner examined data from the 89 executions conducted in Florida between 1976 - when the U.S. Supreme Court upheld Florida's use of the death penalty - and 2014. Baumgartner found that executions occurred disproportionately in cases involving white victims and victims who were female. While 56% of all Florida homicide victims during that period were white, 72% of all executions involved white victims. Similarly, 26% of all murder victims were female, but 43% of executions involved female victims. 71% of the black defendants executed in Florida had been convicted of murdering white victims. On the other hand, no white person had been executed in Florida for killing a black victim. Baumgartner also found that the state's use of the death penalty was geographically concentrated, with just 6 of Florida's 67 counties accounting for more than half of all executions. More than half of Florida's counties (36) have not produced any executions, and homicide rates were 31% lower in those counties. The study concludes that "factors such as the victims’ race and gender, as well as the county in which the offender was convicted, inappropriately influence who is executed in Florida....These disparities are not measured by a few percentage points of difference. Rather, they differ by orders of magnitude, clearly demonstrating that vast inequities characterize the implementation of capital punishment in Florida." In an 8-1 decision in Hurst v. Florida released on January 12, the U.S. Supreme Court found Florida's capital sentencing scheme in violation of the 6th Amendment, which guarantees the right to trial by jury. "The Sixth Amendment requires a jury, not a judge, to find each fact necessary to impose a sentence of death," Justice Sonia Sotomayor wrote in the opinion of the Court. The jury and judge in Hurst's case followed Florida's statutory sentencing procedure, which requires only an "advisory sentence" from a jury. 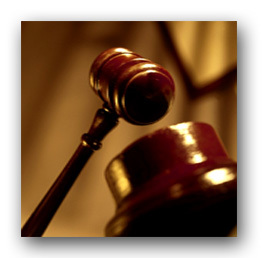 Florida does not require the jury to specify the factual basis of its sentencing recommendation. The sentencing judge must give "great weight" to the jury's recommendation, but only the judge ever provides written reasons why a case is eligible for a death sentence. 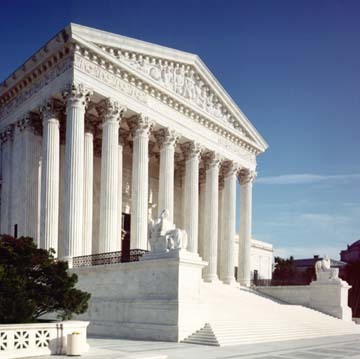 The Court based its decision largely on Ring v. Arizona, a 2002 decision in which it struck down Arizona's sentencing scheme because a judge, rather than a jury, determined the facts necessary to impose a death sentence. While Florida's procedure adds the advisory recommendation that Arizona's lacked, the Court found the distinction, "immaterial." "As with Timothy Ring, the maximum punishment Timothy Hurst could have received without any judge-made findings was life in prison without parole. As with Ring, a judge increased Hurst’s authorized punishment based on her own factfinding. In light of Ring, we hold that Hurst’s sentence violates the Sixth Amendment." In a recent article in Slate, Harvard Law School Professor Charles Ogletree, the executive director of the university's Charles Hamilton Houston Institute for Race and Justice, says "the death penalty is collapsing under the weight of its own corruption and cruelty." He emphasizes the increasing isolation of capital punishment to a few outlier jurisdictions, particularly highlighting Caddo Parish, Louisiana. Caddo Parish received national attention when, shortly after the exoneration of Glenn Ford, who was wrongfully convicted and spent 30 years on death row, District Attorney Dale Cox said the state should "kill more people." Ogletree described the legacy of racial violence and intimidation in the parish, including that Caddo Parish, which has been responsible for 8 of Louisiana's 12 death sentences since 2010, was "the site of more lynchings of black men than all but one other county In America." Until 2011, a Confederate flag flew atop a monument to the Confederacy outside the entrance to the parish courthouse in Shreveport where jurors reported for duty. 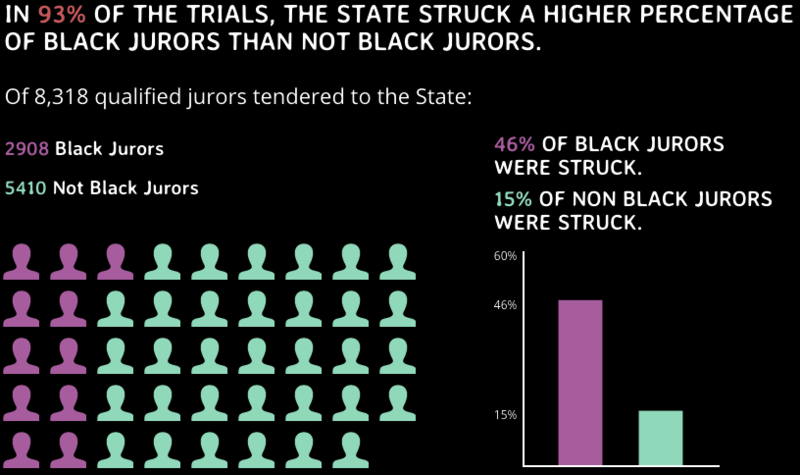 In 2015, a study (click image to enlarge) found that Caddo prosecutors struck prospective black jurors at triple the rate of other jurors. Ogletree spotlighted a number of questionable death sentences imposed on Caddo defendants who may have been innocent and framed, were intellectually disabled or mentally ill teenagers, or who suffered from serious brain damage and mental illness, and who were provided systemically deficient representation. "Caddo offers us a microcosm of what remains of the death penalty in America today," Ogletree says. 33 jurisdictions have abolished the death penalty or not carried out an execution in more than 9 years. Just six states performed executions in 2015, and three-quarters of the people who were executed last year raised serious questions about mental health or innocence. Death sentences were at a record low (49), and 14, he said, came from two states - Alabama and Florida - that allow non-unanimous jury recommendations of death. Ogletree concludes, "The death penalty in America today is the death penalty of Caddo Parish—a cruel relic of a bygone and more barbarous era. We don’t need it, and I welcome its demise." Prisoners sentenced to death in the small number of U.S. counties that most aggressively pursue the death penalty often suffer the "double whammy" of getting "both the deadliest prosecutors in America and some of the country’s worst capital defense lawyers," according to an article in Slate by Robert L. Smith. In reviewing the the unusally high numbers of death verdicts from 3 counties that are near the top of the nation in disproportionately producing death sentences over the last 5 years, Smith found not only high rates of seeking death but a pattern of inadequate capital defense representation. In Maricopa County, Arizona, the nation's second highest producer of death sentences since 2010, two capital trial lawyers had, between them, represented 10 clients who were sentenced to death. Serious concerns about the quality of representation were also present in the two counties with the nation's highest level of death sentences per capita since 2010, Duval County, Florida, and Caddo Parish, Louisiana. 75% of defendants sentenced to death in Caddo Parish since 2005 were represented at trial by lawyers who would be found unqualified to try capital cases under capital defense standards recently put in place in the state. One Caddo Parish lawyer, Daryl Gold, was trial counsel for nearly 20% of the people sent to death row in Louisiana from 2005 to 2014. He has been suspended from practicing law three times and received 14 private reprimands, and was permitted to continue representing poor defendants in capital cases even though he was barred from taking on private clients. In Duval County, a newly elected public defender fired respected senior capital litigators and installed as deputy chief and head of homicide defense a lawyer, Refik Eler, who has at least 8 former clients on death row - the most of any lawyer in Florida. Eler has already been found ineffective by the Florida Supreme Court in three capital cases for failing to investigate both guilt and penalty issues.